As the country with the largest population on earth (1.3 bn) and many big cities, China has been rapidly developing its wealth and its worldwide influence as a trade partner in the past three decades. 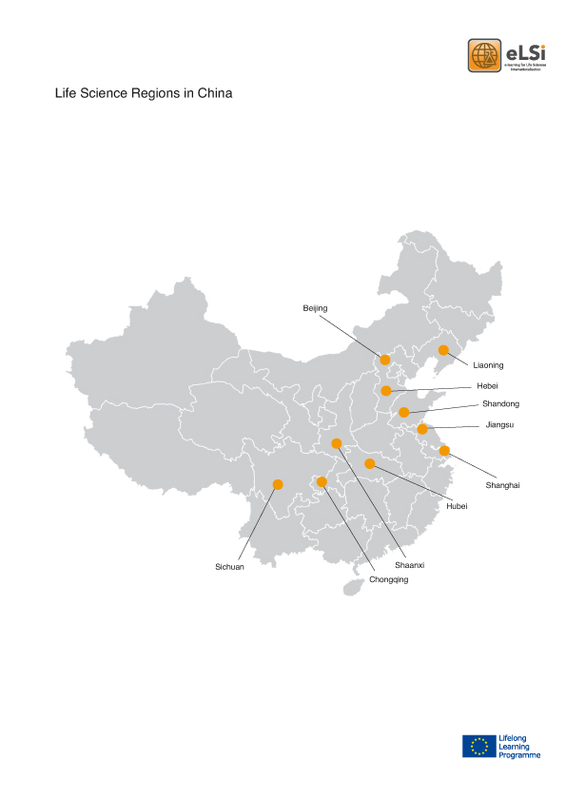 China’s coastal regions, including Beijing, Shanghai and other locations in the East of the country, are the most developed areas with large-scale high-tech industry and science parks providing vibrant and international environments for research and development (R&D). Most global pharmaceutical and technical companies have set up facilities here and while manufacturing costs are on the rise in China, the focus is shifting towards innovation and development of new products (or improved products like biosimilar drugs). This trend has been driven also by the return of many Chinese from their training abroad, usually in the US. These highly qualified, well trained and English-speaking returnees are bringing skills and projects to China and are often involved in the creation of new companies and start-ups. The business opportunities and developments in the Chinese life sciences and healthcare sector are substantial, with a strong scientific base at the universities, a reformed and expanding healthcare system and a powerful pharmaceutical industry. Demand for innovative products is continuously on the rise, for example for new drugs for highly prevalent diseases like certain cancers or diabetes, vaccines, and medical technology, e.g. hospital equipment. However, accessing the market from abroad and marketing European products in China can be a difficult venture, as the market is highly segmented and due to strong cultural differences. The Chinese government’s ambitious innovation strategy puts biotechnology and pharmaceutical R&D firmly on the agenda. Financial incentives in this sector are even available to foreign companies, provided they are in a close collaboration agreement with a Chinese entity, for example a Joint Venture. Regulatory affairs, e.g. for marketing authorisations for drugs and medical devices, are handled by the central agency CFDA. Patent protection and IP law issues, which have posed problems in China in the past, are being tackled and resolved. One important reason for this is that many domestic Chinese companies have been facing the same problems as international enterprises and this has pushed the improvement of IP protection for domestic and foreign companies alike. In any case, patent or copyright infringements are seen more in sectors like fashion, IT and entertainment, while life sciences products and projects are often better protected by their complexity and the specialist skills required. European businesses should not underestimate the impact of cultural differences that can hinder negotiations and progress with Chinese partners. The eLSi project resources provide information on business culture and intercultural communication in addition to sector-specific materials.